Thermocouples are very sensitive devices. It requires a good amplifier with cold-junction compensation. 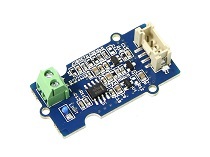 The Grove - High Temperatire Sensor uses a K-Type themocouple and a thermocouple amplifier that measures ambient temperature using thermistor for cold-junction compensation. The detectable range of this Sensor is -50~600°C , and the accuracy is ±(2.0% + 2°C). Step 2. 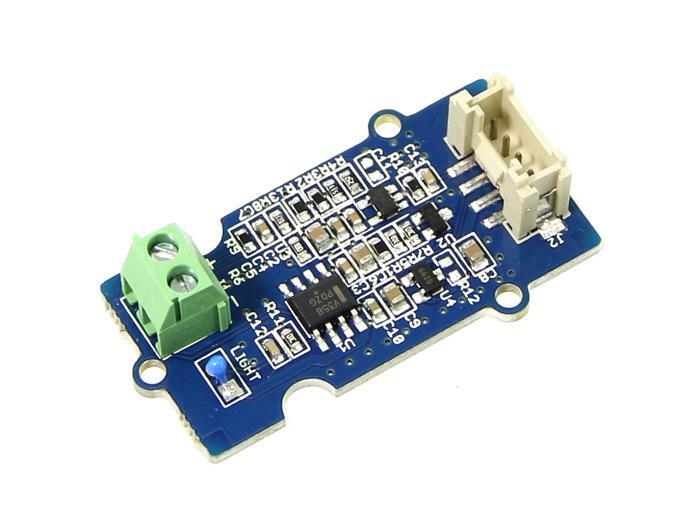 Connect the Grove-High Temperature Sensor to A0 on Base Shield. Step 1. 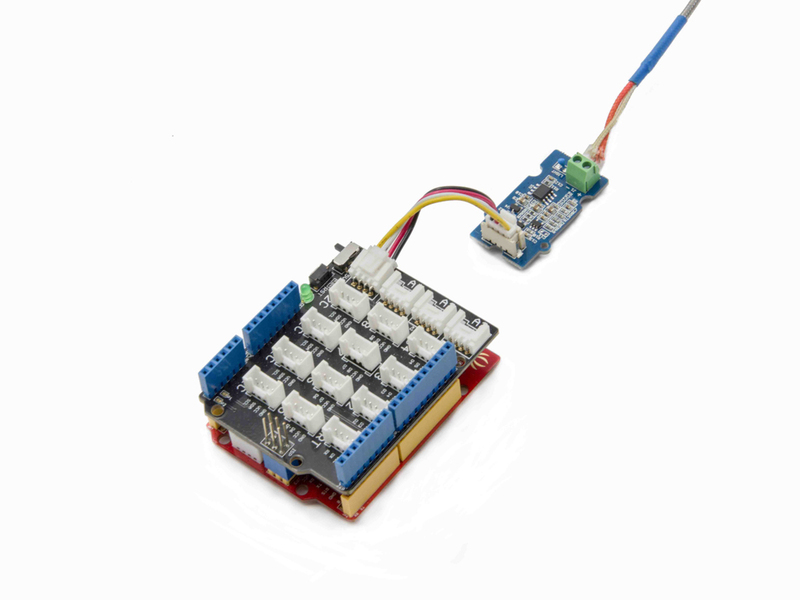 Download the Grove-High Temperature Sensor Library from Github. Step 3. Copy the code into Arduino IDE and upload. Step 4. Open your Serial Monitor and set baud rate as 115200, We will see the temperature in Celsius here. Step 3. 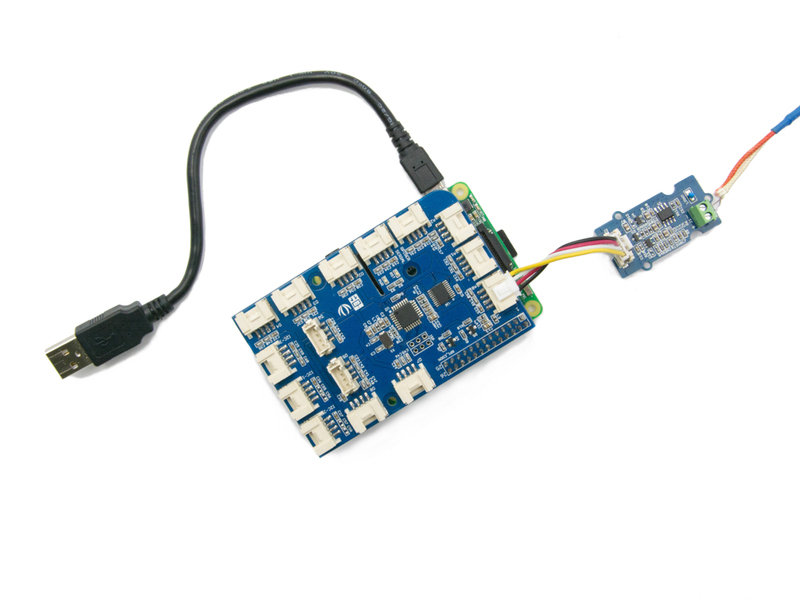 Connect Grove-Ultrasonic ranger to A0 port of GrovePi_Plus. - Step 4. Excute below commands to use the ultrasonic_ranger to meansure the distance. # Don't forget to run it with Python 3 !! Step 4. We will see the temperature display on terminal as below. Q1: How to do Grove-High temperature sensor calibration? A1: Please download the libray and then follow below instructions. Step 1. run the getTemperature-calibration-measurement.ino to get below info. Step 2. paste to getTemperature-calibration_demo.ino and run the calibration. 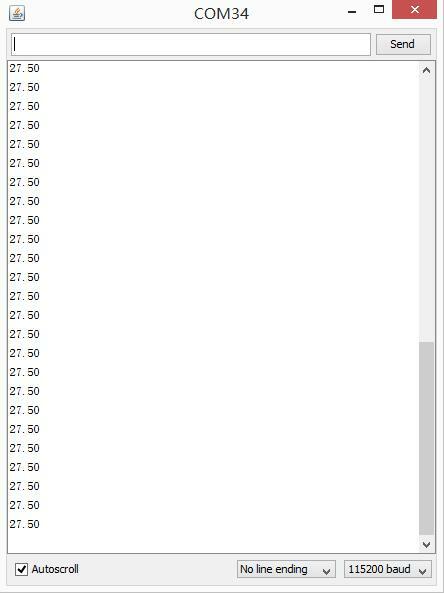 Step 3. run getTemperature.ino to read the temperature.